WASHINGTON — President Donald Trump says he’ll leave it up to chief of staff John Kelly to decide whether Trump’s son-in-law, Jared Kushner, will keep his interim security clearance. “I will let General Kelly make that decision and he’s going to do what’s right for the country and I have no doubt he’ll make the right decision,” Trump said during a joint press conference with Australian Prime Minister Malcolm Turnbull, where he addressed the security clearance issue for the first time. Kelly, in a memo released last week, had set a Friday deadline for halting access to top secret information for those whose applications have been pending since June 1 or before that date. Some officials are expected to leave their posts as a result, while others will continue working with reduced — or no — access to classified information. White House officials had not ruled out the idea of Trump potentially using his executive authority to grant Kushner a permanent security clearance, which would circumvent the traditional process. But Trump made clear Friday he would not be intervening. A White House official said staffers affected by the memo are being notified individually Friday. Those with temporary “top secret” or higher clearances are expected to be bumped down to temporary “secret” clearances, which provide more limited access. Some may be required to be “read out” of the information they are losing access to — a security briefing in which they again acknowledge the classified nature of the information and agree once more not to disclose it. At the press conference, the president heaped praise on Kushner, calling him a master dealmaker and saying he’d “done an outstanding job.” He noted Kushner does not take a salary and complained he’d been treated “very unfairly” by the press. Trump also complained he’d inherited a “broken” background check system in which it can take “months and months and months” for full security clearance to be granted, even for people without complicated financial holdings. The White House’s handling of security clearances has come under intense scrutiny in the wake of revelations that former White House staff secretary Rob Porter had worked for more than a year with only interim clearance. Porter, whose job gave him constant access to the most sensitive of documents, had been accused of domestic abuse by his two ex-wives. The White House has repeatedly changed its timeline about who knew what and when about the allegations, and the scandal has weakened Kelly’s standing, both among staffers and the president. The debate over security clearance has also heightened existing tensions between Kushner and Kelly. Both the White House and Kushner’s lawyer have insisted that, regardless of any action taken by Kelly, Kushner’s work will be unaffected by the change. And Kelly said he had “full confidence” in Kushner’s “ability to continue performing his duties in his foreign policy portfolio including,” which includes working on the Middle East peace process and U.S.-Mexico relations. Kushner’s portfolio once included the U.S. relationships with China and Japan and a host of domestic priorities, including infrastructure, trade and economic development. But his free-wheeling reach in the foreign policy space — which was viewed as undermining Secretary of State Rex Tillerson — had already been curtailed somewhat under Kelly. 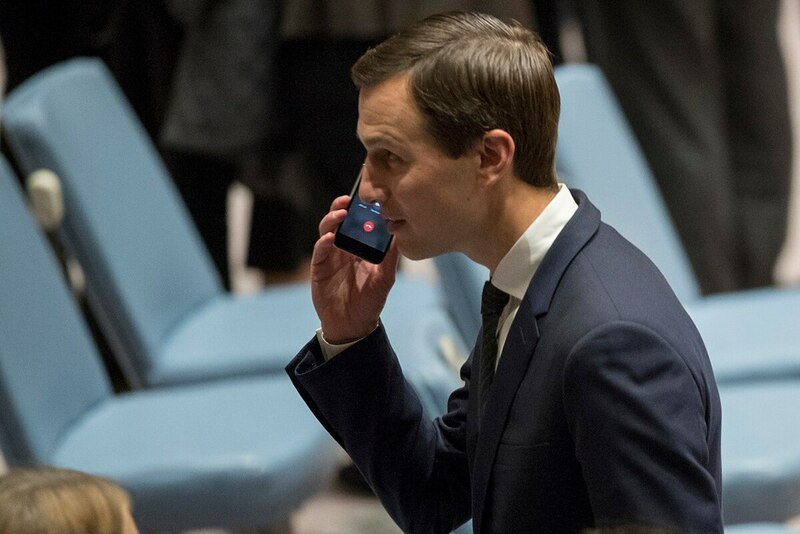 Still, Kushner is reportedly said to review the highly secret presidential daily brief and has been in the room for some of Trump’s most consequential domestic and foreign policy decisions. Kelly’s change only applies to clearances for access to the apex of the classification pyramid — top secret and sensitive compartmented information — not to lower-level clearances required to handle secret or confidential information. Much, but not all, of Kushner’s work on the two issues singled out by Kelly are handled at those lower levels, the official said.